Now that Samsung is done with launching the Android Oreo update for its flagship devices, the Samsung Galaxy S8 and S8+, the company might just have enough time on its hands to look after its older devices. A new update on T-Mobile’s, a US-based carrier, webpage almost confirms the release of Android Oreo update for Samsung’s 2015 flagship devices. The update shows that both T-Mobile and the device manufacturer (Samsung) have agreed to support a new software update which is the Android 8.0 Oreo. 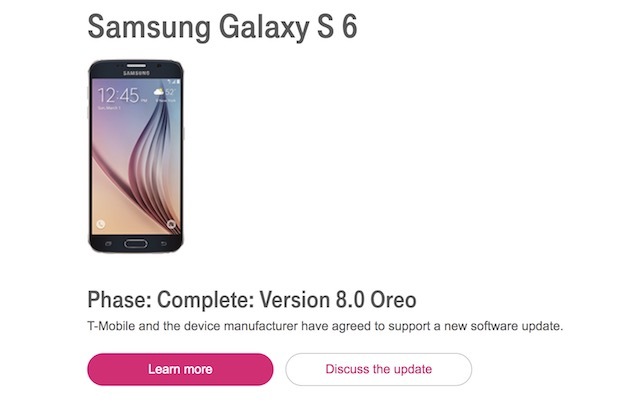 The picture below has been taken directly from T-Mobile’s website, showing that Samsung Galaxy S6 is slated to get the Android Oreo update. 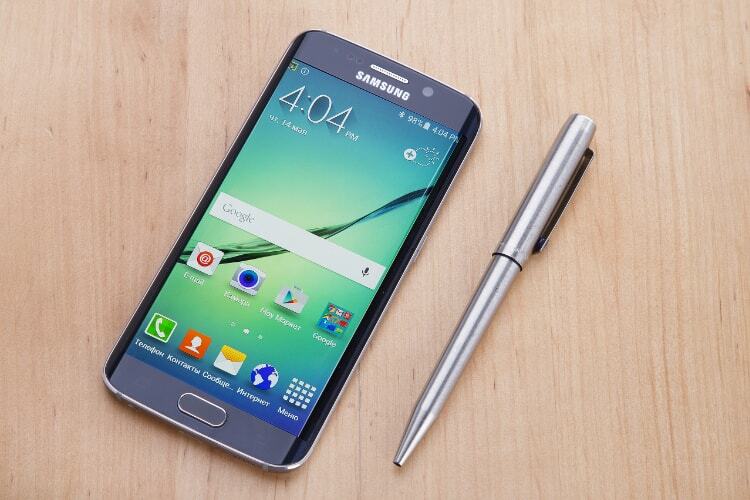 However, Samsung Galaxy S6 is not the only 2015 flagship from Samsung that is poised to receive the Oreo update. In fact, T-Mobile website’s pages for the Samsung Galaxy S6 Edge, S6 Edge+, and Note 5 are also showing the same update. That said, no timeline for the release of the update has been given out by either company yet. Also, one thing to keep in mind is that rumors of Android Oreo update for Samsung’s 2015 flagship devices have been circulating from the last couple of months, but the company itself has not released any official statement. The announcement on T-Mobile’s website does fill our hearts with hope, but we are still pretty skeptical of the whole development. Even if Samsung does release Android Oreo update for its devices on T-Mobile’s carrier, we don’t believe that the company will be doing the same for its devices on other carriers or for the unlocked version of its devices. Releasing a full blown Android Oreo update will eat up way too many resources of the company and we don’t think that Samsung will be interested in diverting so many resources for 3 year old devices. But, we could be wrong, so we will wait and see as to how this situation works out.